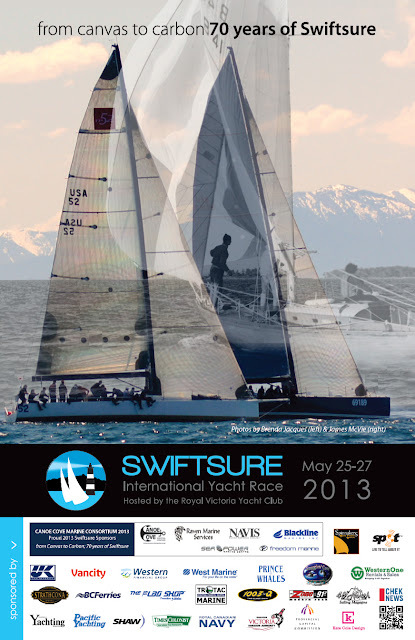 Each year the Swiftsure International Yacht Race produces a poster to promote this wonderful event. Under the capable leadership of Vern Burkhardt the event is doing well despite a general downturn in both the economy and in yacht racing. This year we are pleased to be part of the event poster along with our able & worthy competitor Braveheart.